Check out the first six chapters of the Kickstarter-funded epic fantasy with half a million Wattpad reads! Litnig Jin has spent his life yearning for the power to weave the souls of the dead into magic. His brother Cole has spent his believing in nothing bigger than his own two hands. When a dragon sinks its claws into their nightmares, their lives will change forever. 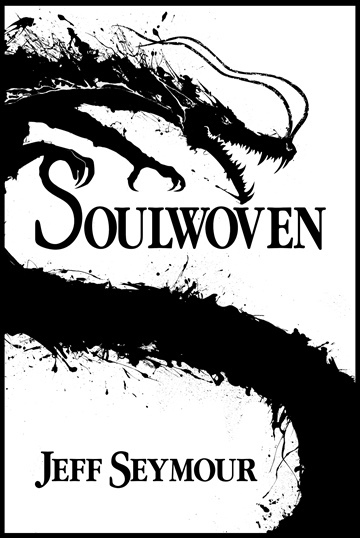 Soulwoven was serialized on the story-sharing site Wattpad in 2012. It went on to garner 750,000 reads while being featured there for over a year. A 2013 Kickstarter funded additional editing, artwork, and polish for the book, which is now available commercially for the first time. From the author: Putting Soulwoven here on NoiseTrade is a bit of an experiment for me. If it goes well, I'll gladly throw the whole book up, because I'm a huge fan of pay-what-you-want pricing. The only reason I haven't yet is that I'd have to give up some opportunities elsewhere to do it. So if you like the beginning, make some noise! Author, freelance writer, and editor Jeff Seymour has been creating speculative fiction since he was a teenager. His writing covers a variety of genres, from magical realism to science fiction to epic fantasy. Jeff’s nonfiction has appeared in Clarkesworld Magazine and on the website Fantasy Faction. He presently edits for Harlequin’s digital-first imprint Carina Press and works as a freelance copy writer. In his free time, he blogs about his writing and editing, pretends he knows anything about raising an energetic kitten, and dreams.